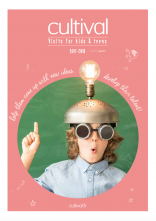 Brochure for kids and teens 2017-2018. Let their ideas take seed and cultivate their talents! 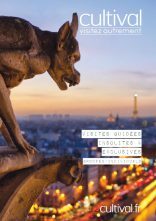 Find all our tours in our 2017-2018 catalogue. 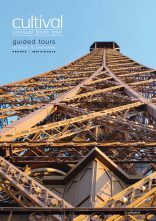 Find all our tours in our 2016-2017 catalogue. Brochure for Schools and After-schools 2016-2017. Let their ideas take seed and cultivate their talents! 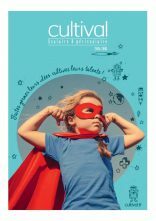 Cultival, a cultural operator that specialises in the development of audiences. 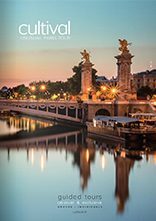 Cultival manages the operation, booking and marketing of guided tours, workshops, ticketing or unaccompanied tours of over 25 cultural sites and institutions in Paris and Ile-de-France. Find all our tours in our 2015-2016 catalogue. 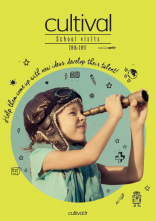 Brochure for Schools and After-schools 2015-2016. Let their ideas take seed and cultivate their talents!